Avi brings over two decades of experience in the software industry – building and leading R&D organizations. In 2015 Avi founded the R&D site for ZipRecruiter Israel, which contains today over 50 employees. 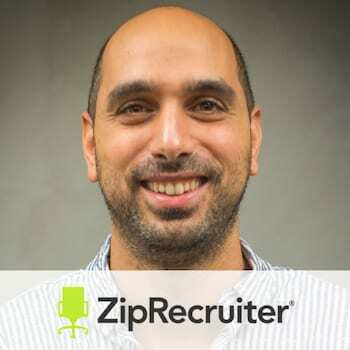 ZipRecruiter is the fastest-growing online employment marketplace. Powered by industry-leading artificial intelligence matching technology, we connect millions of businesses with job seekers through innovative mobile, web and email services as well as partnerships with the best job boards on the web. Founded in 2010, Santa Monica-based ZipRecruiter has close to 1000 employees in two states and three countries.